BarWars LLC" is..."/> BarWars LLC" is..." /> Flairbar.com & Rob Husted Need your Help! Flairbar.com & Rob Husted Need your Help! I am proud to be a Bartender and love it still to this day... help our passion to help fuel the passions of many. 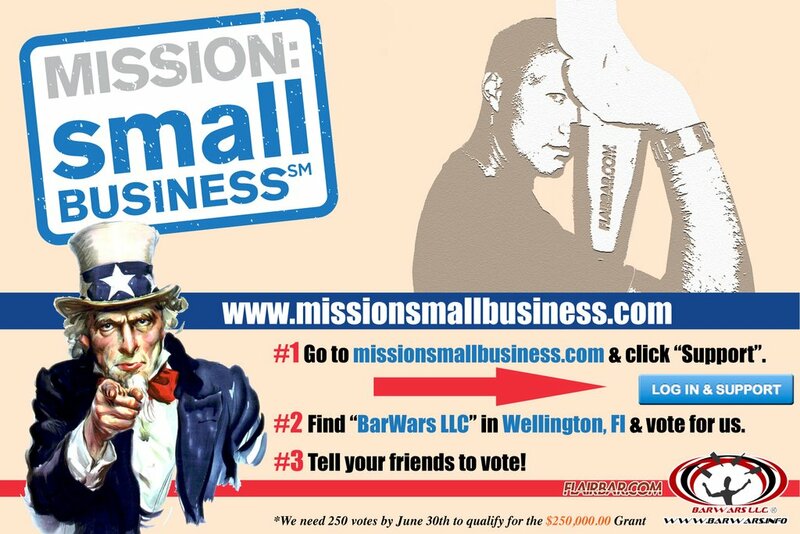 All you have to do is log onto "www.missionsmallbusiness.com" and vote for "BarWars LLC"... it takes just a couple of minutes, and you will be helping so many in a great way. We need 250 votes to qualify... with your help we can do it.